Editor's note: Brett Snyder writes a weekly CNN.com travel column. Snyder is the founder of air travel assistance site Cranky Concierge, and he writes the consumer air travel blog The Cranky Flier. (CNN) -- You might have heard something about the Transportation Security Administration's new known (or trusted) traveler program that will begin testing in October. For now, this will impact a very small number of travelers, but it has the potential to mean big changes in the security process in the long run. When it comes to airport security today, everyone is treated as a potential threat when walking through the checkpoint. That's why you still have to take your shoes off and pull your laptop out among other things. If they find something, then you might be subject to further screening. Many have spent years arguing that the TSA is unnecessarily wasting resources and inconveniencing passengers by not also having a level of lesser screening for those who are deemed to be less of a threat. The TSA has only recently adopted this idea of risk-based security screening, and that's why this particular program is heading into testing. The idea is that if the TSA can gather enough information about someone to show that he is a reduced risk to security, then they can have a reduced level of physical security at the checkpoint itself. 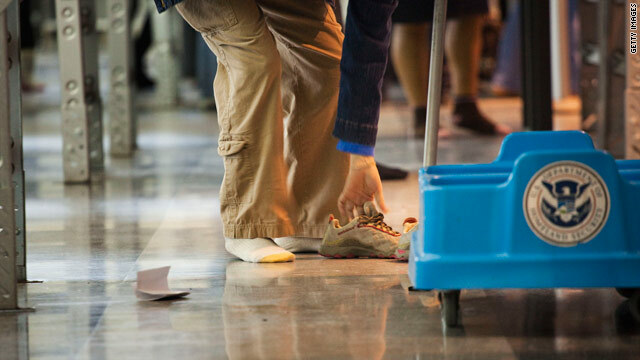 So, if you as a traveler want to give a lot of personal information, there is now hope that you can leave your shoes on and keep your laptop in your bag. If this idea sounds vaguely familiar, it's because it's been discussed for years and has been almost put into practice. If you've heard of Clear, this was the original idea for that program. Each traveler was supposed to provide background info along with biometrics to be whisked through security with ease. It didn't quite work out that way. In the end, the TSA wasn't ready to consider a trusted traveler program, and Clear just became a "front of the line" pass, just like those for first class and elite frequent fliers. They all led you to the front of the line but the security screening was the same once you got there. But the TSA has shifted its stance under current leadership and is now willing to admit that there might be a place for a program like this. Initially, the test will be limited to a few groups. Members of frequent flier programs for a couple of airlines in their hubs will be in the first group. Those who use Customs and Border Patrol programs for expedited entry into the U.S. (Global Entry, SENTRI, and NEXUS) will also take part. Everyone has to be a U.S. citizen to be considered. The chosen few will be able to avoid some of the screening hassles that we've all had to put up with for years now, and that's music to the ears of most frequent fliers. For the less frequent flier, it won't be an option to start, but even if it becomes one, it might not make sense. Initially, there shouldn't be a cost to this, but it wouldn't surprise me to see a charge if this becomes a permanent program. The above-mentioned Global Entry program might provide some guidance -- there's a $100 application fee for that program. But this is putting the cart before the horse. Once the first test is completed, we should know more about whether this is a viable program in the eyes of the TSA. If it is, then it could provide some relief for those frequent fliers who are tired of day-in day-out hassles.